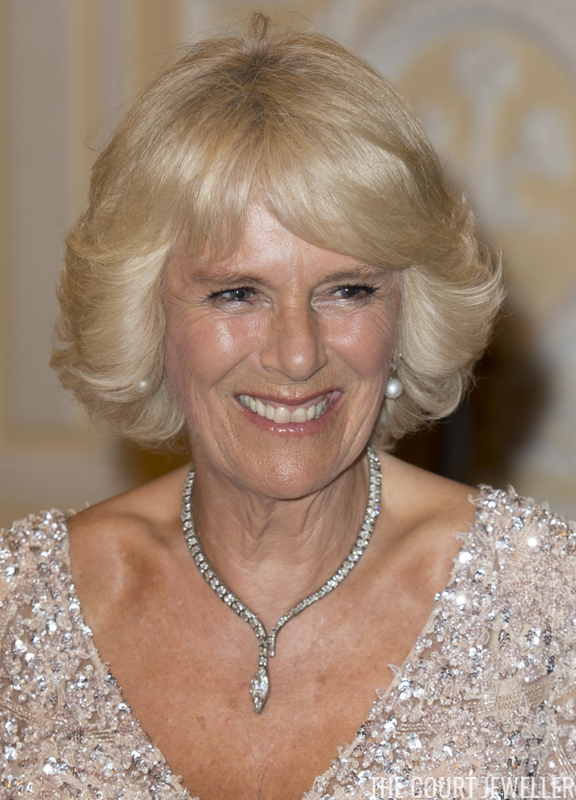 The Duchess of Cornwall often wears a classically-designed serpent necklace at gala events. She's had this one for years and years, and it's still slithering on. With her snake necklace, Camilla's just following in the footsteps of another Windsor. 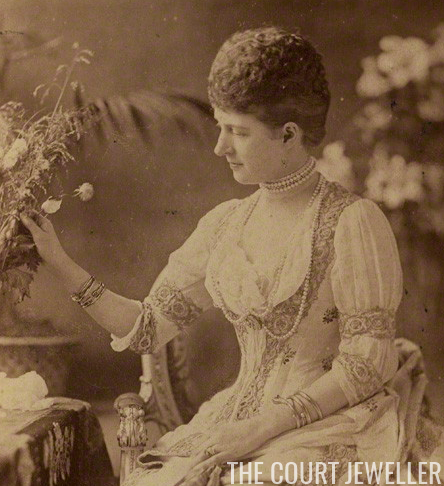 Queen Alexandra also famously wore a golden snake bracelet wrapped around her wrist. 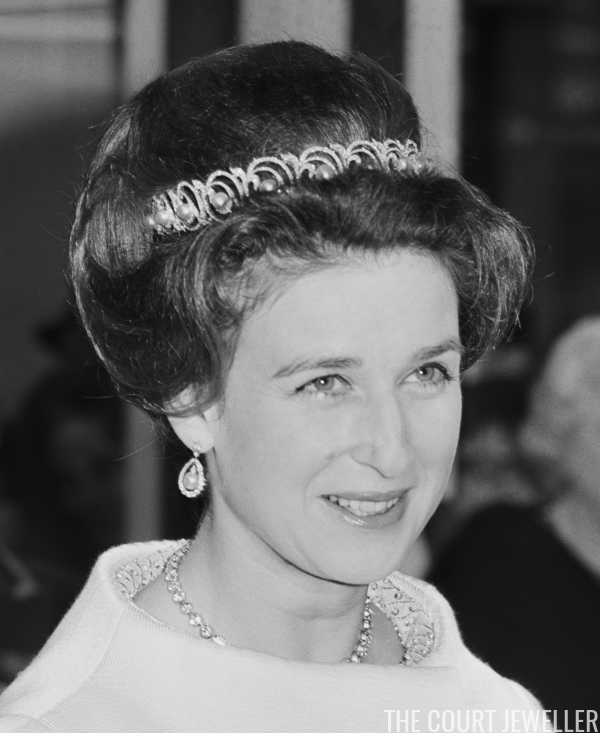 I've seen some describe the pearly circle tiara that once belonged to the Kent ladies as a tiara of coiled snakes. Do you see it? Surely the most significant royal snake necklace of all is the enormous serpent worn by Sheikha Mozah of Qatar at a Guildhall banquet in 2010. The piece is reportedly by Cartier. Also: THAT RING! 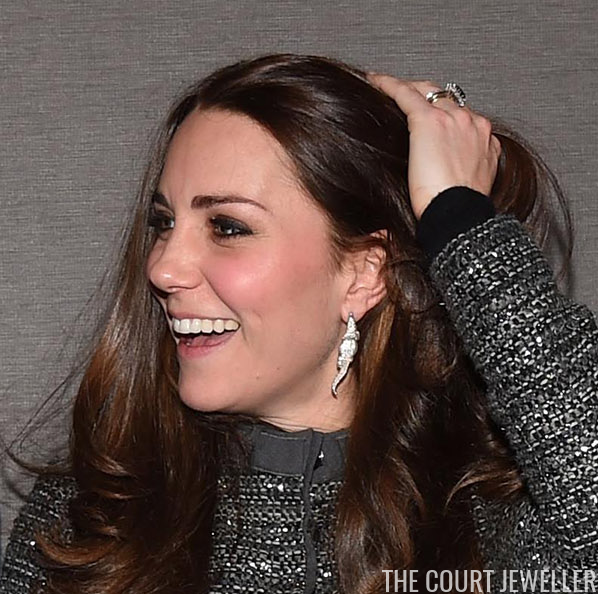 Also fond of reptilian jewelry: the Duchess of Cambridge, who wore crocodile earrings by Patrick Mavros in New York in 2014. 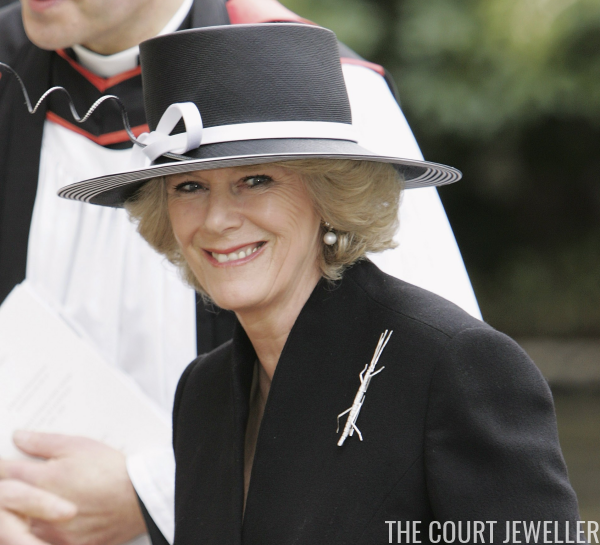 The Duchess of Cornwall doesn't only wear reptiles: she also has a growing collection of insect jewelry, including a large stick insect brooch. 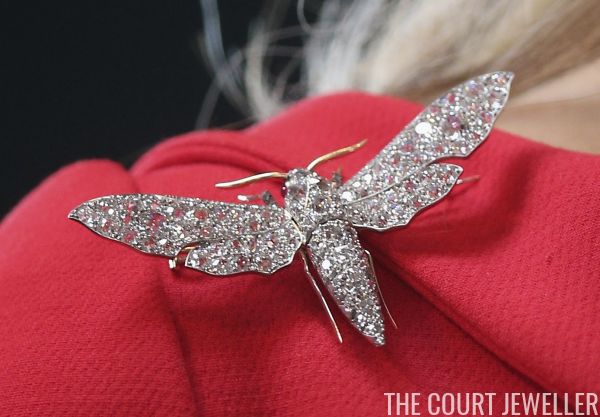 The Dutch royal collection also includes numerous insect pieces, including this lovely diamond moth. 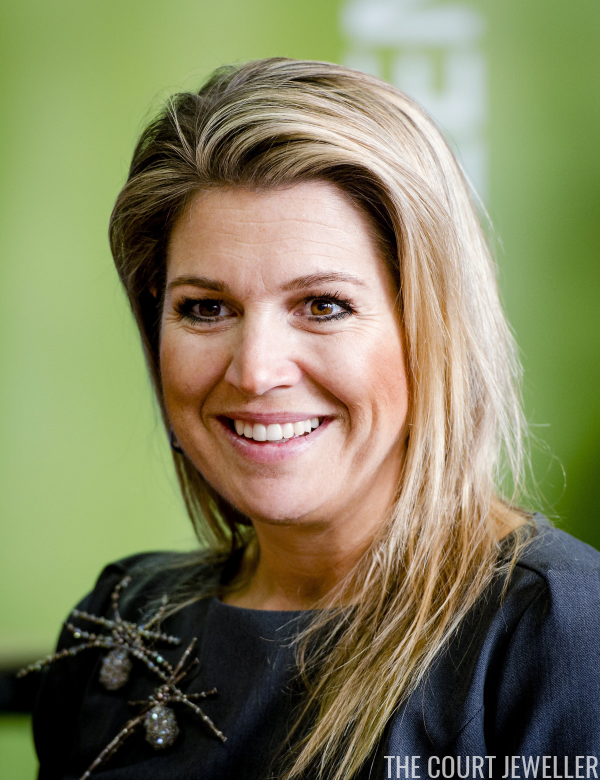 But the creepiest jewels in the Netherlands, without a doubt, must be the spider brooches worn by Queen Maxima. Sheikha Mozah has also stepped out in a pair of stylized beetle ornaments. And the Bernadottes in Sweden famously own a necklace of scarab beetles, passed down from Margaret of Connaught to Prince Bertil and Princess Lilian, who bequeathed it to Queen Silvia. 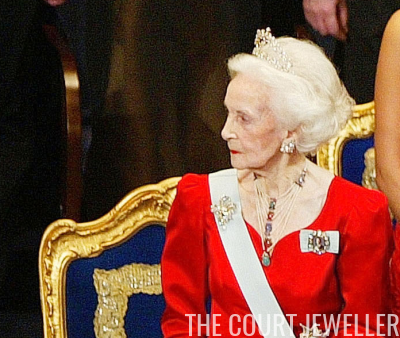 But clearly we can't end a post on buggy royal jewels without a peek at the tiara of diamond and ruby dragonflies worn by Camilla of Bourbon-Two Sicilies. Creepy and elegant!